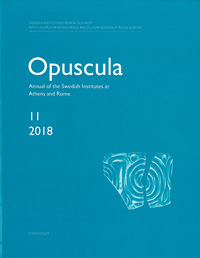 The series were first published in 1951 and consist of monographs or collections of scholarly works such as excavation reports from Swedish field work carried out in Greece, and conference volumes within the fields of Classical Archaeology, Ancient History, and Greek Philology. The bigger format (4˚) is printed in paperback or hardback, and the smaller format (8˚) is printed in paperback. All manuscripts are peer reviewed. The bibliographical abbreviations for the series are ActaAth-4˚ and ActaAth-8˚. 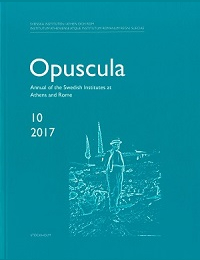 Volumes published from 2008 are available at http://ecsi.bokorder.se/ActaAth.aspx both in print and as electronic versions.